So, you’ve explored the inventory at our Hyundai dealer near Elgin, IL, and found the ideal Hyundai sedan or SUV for you. What’s next? Once you’ve taken the test-drive and decided on the Hyundai vehicle you wish to lease or finance, you can sit down with our expert Hyundai financing team to discuss your Hyundai loan or lease options. We can also discuss new and used Hyundai vehicle specials that will help you save even more. Allow us to answer any questions you may have about the Hyundai financing process, or we can figure out a Hyundai lease option that works best for your credit. Whether you’re leasing a new Hyundai Santa Fe Sport or buying a used Hyundai Sonata, it doesn’t matter. We’ll help you find a pricing solution that works best for your specific budget. 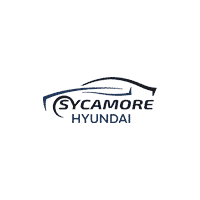 Speak with Sycamore Hyundai about your Hyundai financing options today to determine the perfect solution for you.